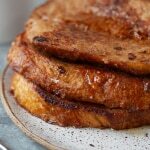 This easy vegan french toast calls for only 5 ingredients! And it’s still crispy, sweet and golden-brown. Perfect for Sunday brunch, or my favorite – breakfast for dinner! Ever have one of those days where you’re like I wonder if I could pull that off? You know, like a pixie cut, or aviators, or yoga pants with elephants on them, or making vegan french toast? Yeah, it’s kind of weird, but I like to challenge myself in the kitchen to see what recipe makeovers and variations I can actually pull off. Vegan french toast I wasn’t so sure about. I love regular french toast and was a little worried about ruining an already good thing we had going. Curiosity overruled my skepticism though and before I knew it, I was busting out the flaxseed. 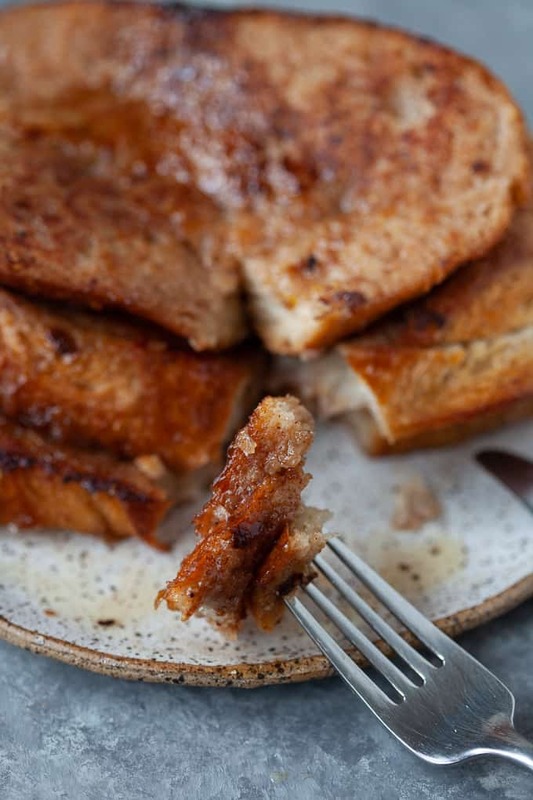 Watch the video below for how to make my vegan french toast! I tried making the batter two different ways – one where I added all the ingredients together (including the flax) and the other where I made a “flaxseed egg” separately and let it sit in the fridge before adding it to the batter. The “flaxseed egg” version may have been a smidgen thicker but honestly, I don’t think it made much of a difference. I was actually pleasantly surprised with how the french toast turned out. It was crispy, sweet, and delicious. If you’re looking for an “eggy” flavor, try adding a little black salt or nutritional yeast to the batter as we’ve had a few readers experiment with these ingredients with good results (see comments below)! I totally did a BFD (breakfast for dinner) move on Friday night and had this french toast and smeared peanut butter on top. YUMMM. Is anyone else a BFD fan?? In a wide-rimmed bowl, add coconut milk, flaxseed, vanilla, and cinnamon, whisk, and let set for 5 minutes. Heat coconut oil on a griddle over medium-low heat. One side at a time, dip slices of bread into the batter, leaving no spots untouched. Transfer slices to the griddle and cook for 4-5 minutes on each side, or until golden-brown. 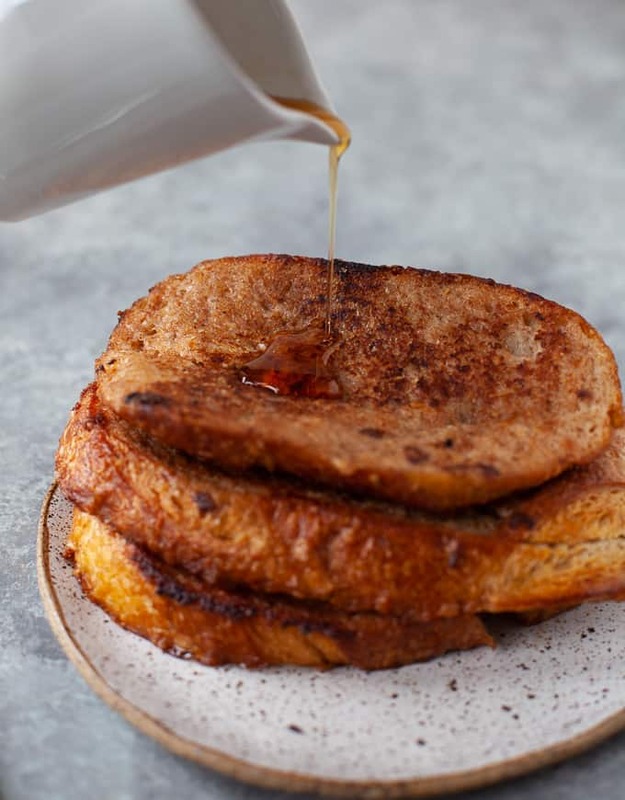 Optional: Drizzle french toast with maple syrup. This recipe was retested, reshot and revamped to bring you the most delicious (and most beautiful) dish! The original post was published February 2015. Whadya think? 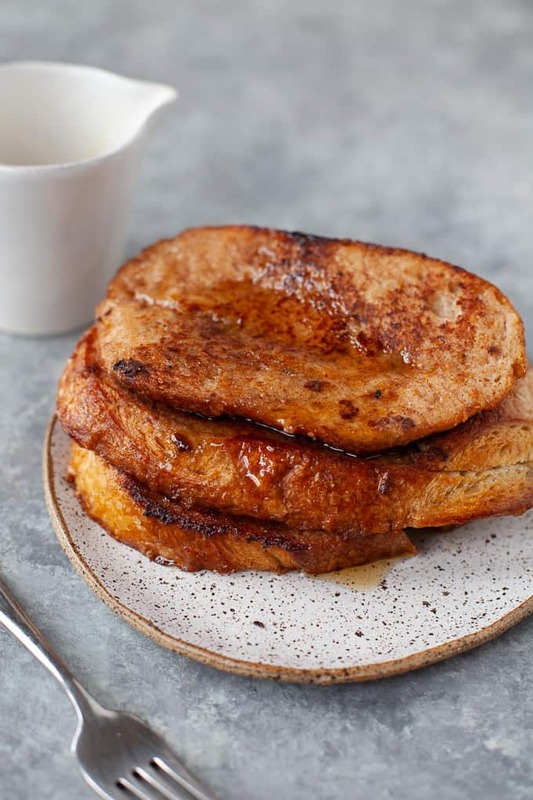 Ever tried vegan french toast? Or BFD? 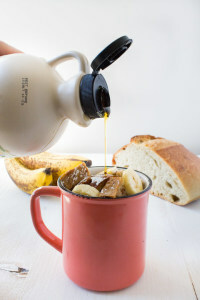 If you’re hungry for more breakfast inspiration, check out this Vegan Banana French Toast in a Mug recipe. I love a good vegan breakfast recipe! This is perfect for winter. Love the addition of flaxseed! These look like such an easy breakfast to please multiple dietary restrictions. This was amazing. I did add 1/2 tbs of nutritional yeast. I was blown away, cause I never expected it to be so good. Thanks for this recipe. I’ve been eating WFPB for about 2 months now and am still learning and experimenting a lot. This will be a go to for me. Have you ever tried a pinch or two of “Black Salt”? I’ve used it in vegan quiches and it gives the quiche an egg aroma. Since I use a pinch or two of salt in most French Toast recipes I’ve made I was wondering. I’ve never tried black salt but I think it would be a perfect addition to this recipe – try it and report back, Chris! I just tried this recipe. You nailed it. To replicate my grandma french toast recipe make it vegan I add a teaspoon of almond extract and a teaspoon of ground nutmeg. I used grapeseed oil to cook. The medium low heat for the 5 minutes each side got the texture I have never gotten from other vegan french toast recipes. Thanks, Theresa! Glad you enjoyed! Black salt works great for adding that sulphur-y egg flavor to tofu scramble too. Total game-changer! Hi Annlisa! I used a sourdough bread but you can use any kind! This was the best French toast I’ve ever had. My family loved it! Oh, awesome! So glad to hear it! 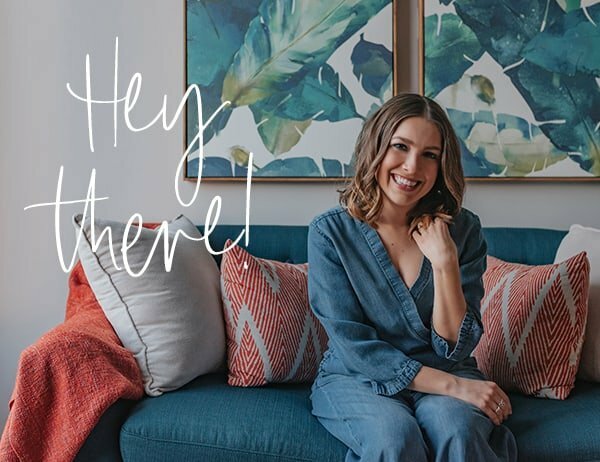 Thanks for sharing, Lacoya! Hey, thanks. This was first vegan french toast that I’ve made that actually came out right. Oh, awesome! Glad to hear it, Bill. These turned out wonderful! We found out in December my toddler cannot have eggs and we are already a dairy free household, so these were great! My husband who eats everything said they were the best French toast he’s eaten! I used canned coconut milk which gave them a very custard-y flavor, added 1/4 t salt and about 1 T sugar. Thank you for sharing your recipe! I’ve had vegan french toast, and this looks delish as well! Although I do have to admit I am partial to the eggy, battery version of traditional French Toast. OK making these this weekend! Those slices are so golden and delicious, yum! BFD all the way!!! I wish I had this recipe last week, when my daughter was still on her week on vegan diet experiment. No matter though-it looks yummy enough to eat any day-vegan or not!! Did not think this was possible and you just made my day!! My husband, a lifelong vegetarian (and not an egg fan), is going to be very happy! YAY! Happy to hear your day is made, Kathryn! Enjoy! Also if you’re looking for eggy taste, get hold of some Kala Namak (sometimes referred to as black salt, even though it is pink). It is sulphuric volcanic salt, sounds obscure but you can get it in any indian store. It is really pungent, so you only need a little, and it tames down quite a bit when cooked too. I’m glad I read this comment because I was about to make this recipe with coconut milk from a can. What’s the difference? Coconut milk from a can is generally thicker and creamier than coconut milk beverage. Let me know how it turns out with canned! I will try this tomorrow. I’m not vegan, but I really hate eggs and I haven’t had french toast since I was little. Can’t wait! Awesome! How did it turn out, Sona?! This is going to be our Easter brunch main dish! Looks easy and sounds delicious. As for BFD well OF COURSE! Doesn’t everyone?! 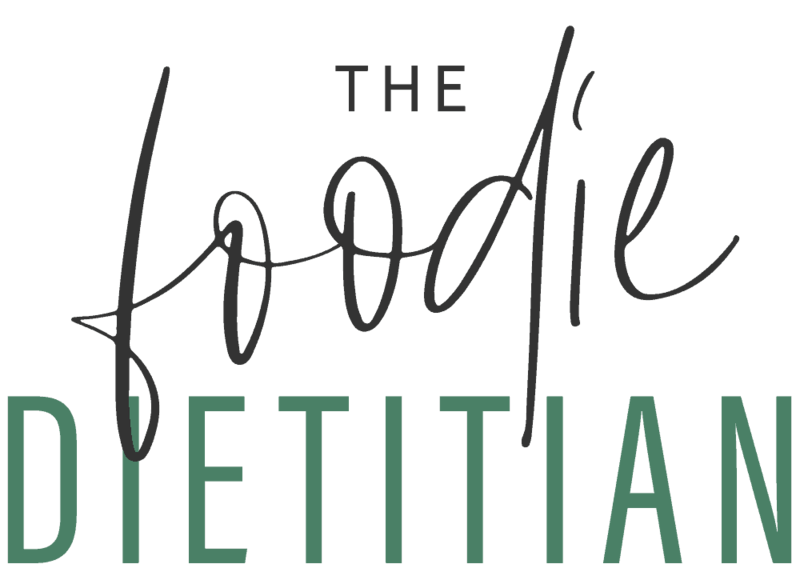 Pancakes and maple tempeh slices and oven roasted diced potatoes …. Mmmmm. Wish I was at your house for Easter brunch this year. Sounds like a delicious spread! Thanks, Gloria! WOW. I just made this for breakfast , and my mom and sister LOVED them. Amazing flavor! I didn’t have any flaxseed, but I had the rest and it turned out great! Awesome, Kelya! So glad you enjoyed it! I wonder if Kala namak (Himalayan black salt) would work for the egg flavor you’re missing? It works great in tofu scrambles to make them seen more eggy. That’s a GREAT suggestion, Kimberly! I’ll definitely have to try that! I’m going to try this in the morning, but I’m mostly commenting because I LOVE that you interact with your readers and respond to comments. ❤️ very nice. I LOVE breakfast for dinner and haven’t done it in SO long. May have to change that soon! Also, I NEVER thought that a vegan french toast would turn out. Sounds super delish!! This looks amazing! What kind of bread did you use to make this?? Thanks, Tori! Any kind of bakery bread will do. The loaf I used was a whole-wheat sourdough. I used canned but it took forever to cook, was still soggy (like raw cake batter soggy), and difficult to flip, even after I thinned the batter with (boxed) vanilla soymilk. Boxed might work better. That’s good to know, Suzanne. Thanks for sharing that with everyone! Assuming I can sub ground chia in place of the flax? My kiddo is horribly allergic to flax, eggs, dairy, gluten, oats and a few nuts, so I am struggling to replace her former favorite breakfast. Hi Carol, Yes you should be able to substitute chia seeds in place of the flax as an egg replacement. Hey this recipe is awesome! Thanks! Made 6 slices for me, I used regular sliced bread from frozen..toasted and then dipped and fried in coconut oil. I added nutritional yeast and used vanilla soy milk 🙂 thanks again been craving french toast for a while. Thanks, Sabrina! Glad you liked it! I’ll have to try nutritional yeast next time and see how it changes the flavor profile. 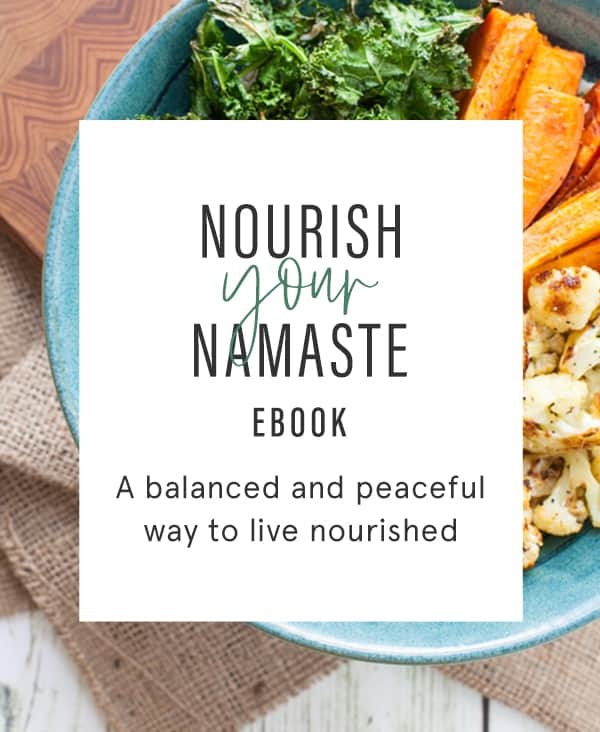 How much nutritional yeast did you use? I made it for brunch, and I added nutritional yeast and man oh man was it good! I used almond milk because that’s what I had on hand, but I did cook with coconut oil. Super easy and for me, perfectly sweet without syup. I didn’t even add butter. It was just THAT GOOD. Did I mention it’s good? Thanks for the recipe. Awesome, Stephanie!! SO glad you enjoyed it!! Good to know the almond milk worked well too. It looks great, love vegan recipe!!! “Stale” bread is key 😉 And yay for keeping it vegan! 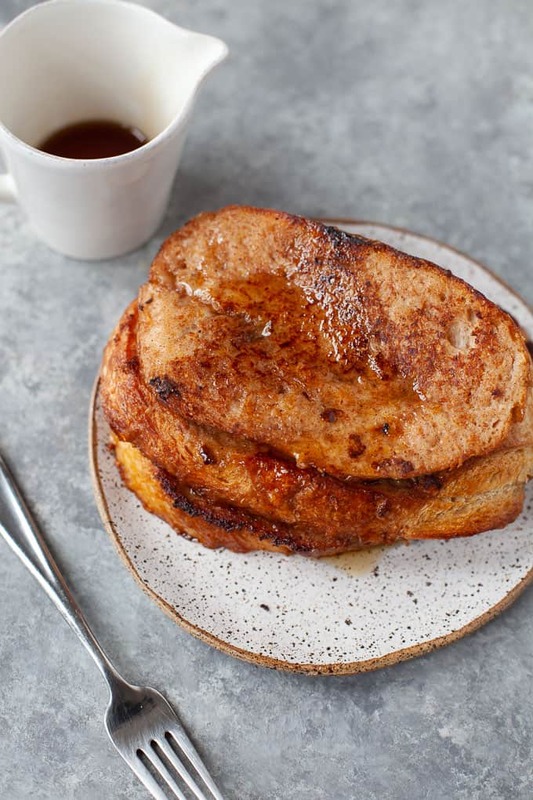 I so gotta try coconut milk and flax out the next time I make French toast – thanks so much for this recipe Kara! This looks delicious Kara. I felt the same skepticism the first time I made vegan French toast, but it turned out great. I didn’t use any egg substitute, just eggnog (it was the Christmas season) and some soy creamer. I thought that the texture was very similar to the conventional, maybe it’s because I haven’t had eggs in over a year? Thanks, Linda. 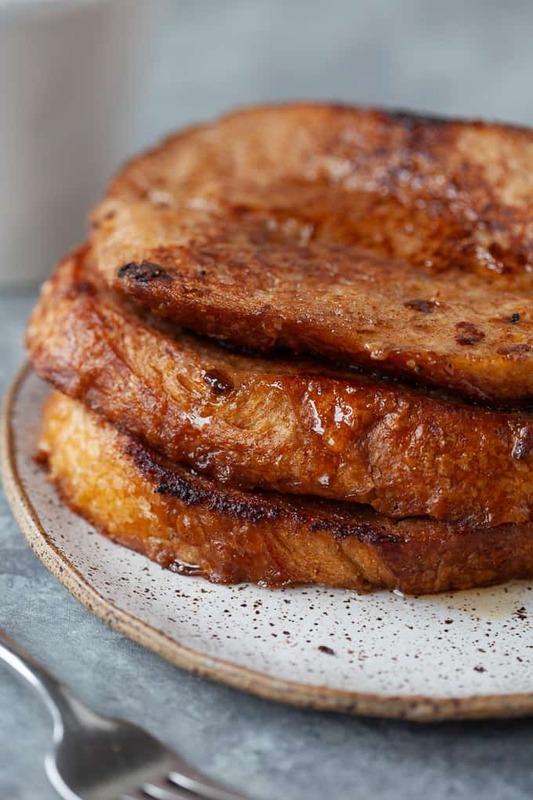 Eggnog + soy creamer sounds like a great addition to french toast too.